Port Hope is the only uranium conversion facility in Canada. 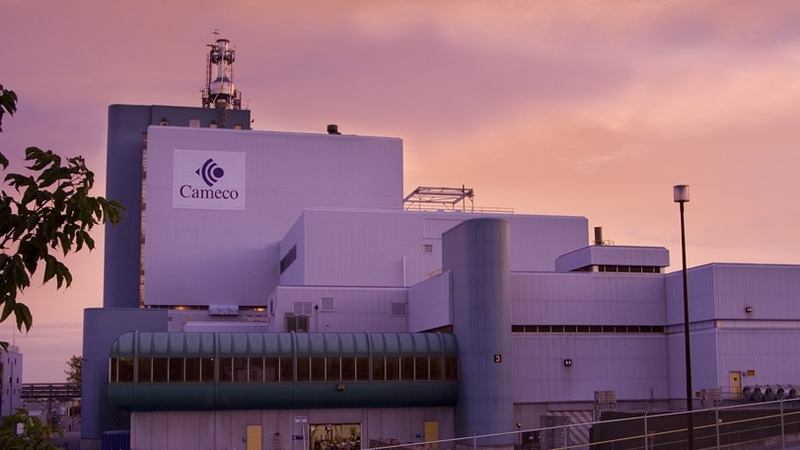 Cameco operates the ISO 14001 certified facility which produces uranium hexafluoride and uranium dioxide, required in the production of fuel for light water and Candu-type, heavy water nuclear reactors. Uranium-related products have been produced on the Ontario-based site since 1935. Worker safety, environmental monitoring and proper decommissioning after project completion are of the utmost importance to Cameco. Cameco uses both 10- and 14-tonne cylinders to ship UF6. The cylinders are transported by truck or ocean-going freighter to enrichment plants in the United States, Japan and Europe. Cameco's fuel services division is headquartered in Port Hope, Ontario. Routine readings from air quality monitoring stations around each site help us protect the environment. The Port Hope conversion facility is one of three Western suppliers of UF6, a chemical form of uranium that is the feedstock for uranium enrichment plants that produce fuel for light water reactors.